According to many social thinkers it is not possible to quantify the performance of organizations on the basis of the values produced. One initial reply to this critique is that the axiological approach in systems theory aims to fulfil a dual function. On one side, it takes a whole set of universal reference values into consideration which in the end spur human motivation and action justifying life in society, among them the own survival of Homo sapiens which could be in danger today, On the other side, this book proposes to measure this axiological efficiency in operational statistical terms and consequently looking for verifiable results. Therefore, the first aim of this book is to present, define and measure a new concept of "organisational efficiency" which is not limited to known economic aspects or related to neoliberal premises or other ideological misconceptions. On the contrary, for the authors organisational efficiency must address the entire system of values, projected or attained. Duly substantiated criticism can and must be levelled only against any society's or organisation's system of values. More specifically, the texts hereunder the seven works in this book constitute a preliminary attempt to set up an operational quantitative methodology for that purpose. The second aim is to introduce different approaches to measure efficiency applied to specific problems within organisations. 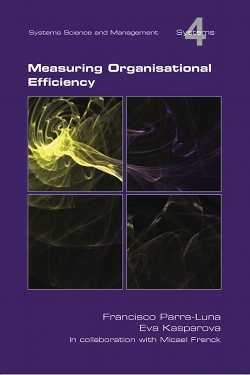 On the whole, all the articles identify a number of ways of addressing organisational efficiency, providing a better understanding and critique of this concept.